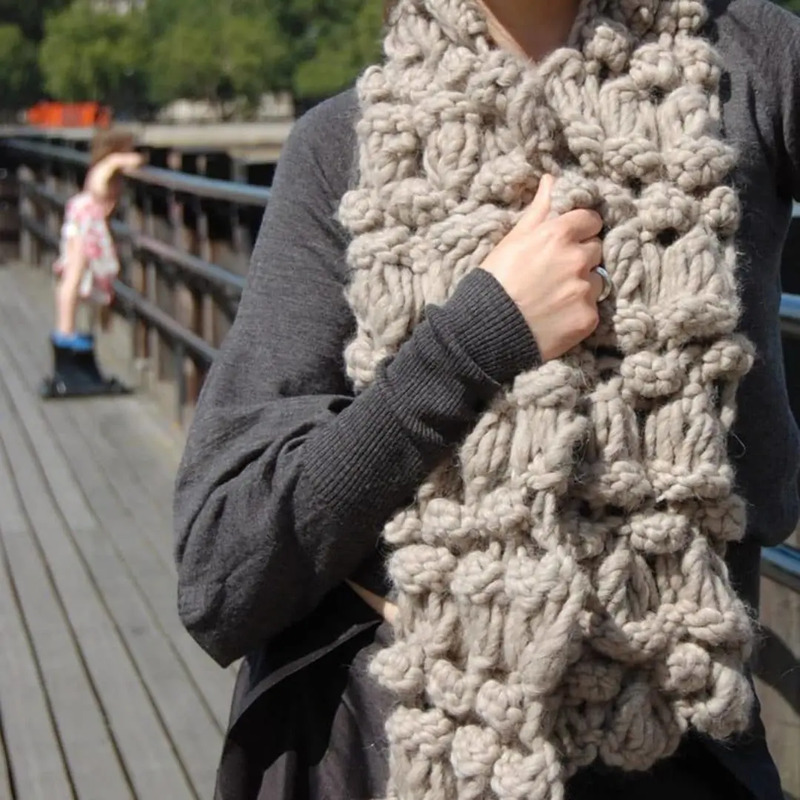 This scarf knits up in a blink and is a real head turner. 3 skeins of Blue Sky Bulky in your chosen colour. Approx. 100 grams / 45 yards or 41 metres per skein. Approx. 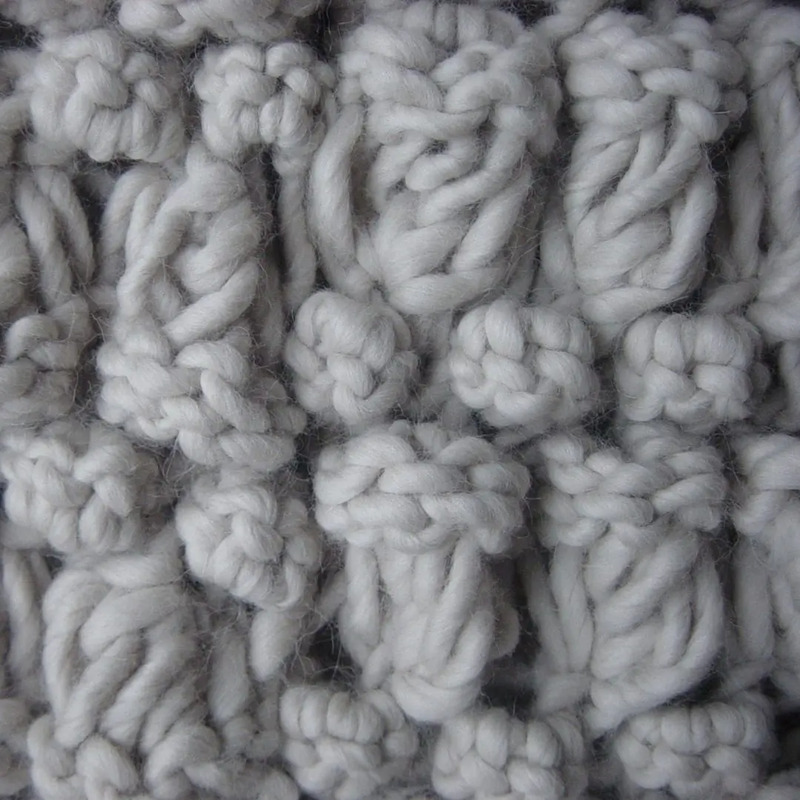 6 sts and 4 rows = 10cm/4” over pattern using 15mm straight needles. Note: Getting the gauge right is not essential for this pattern. Bells, as described in the pattern.